Just read in the Marshall Memo about new Common Core problem sets released from the state of New York. Check them out here. 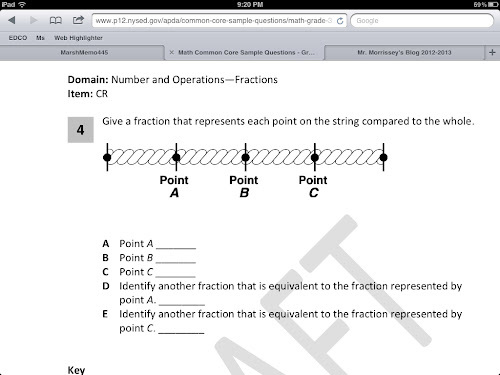 Here is a sample from a 3rd grade test using fraction and number lines. Not a quick one for an eight year old kid.